Ranchi: The decision of the state health and family welfare department regarding ban on private practice of doctors has created an uproar among doctors within the state. The matter has met with strong opposition from Jharkhand’s medical fraternity. According to a recent directive issued by the state health department, 1800 doctors have been directed to stop private practice. Aiming to discourage government doctors from private practice, the department had earlier issued guidelines stating that there could not be full-fledged establishment in the name of the doctor or even in the name of a relative or a kin. Stringent tabs have also been put on doctors towards private practice in government residences as well as within 500 metres from the place of their posting. With the recent ban on the private practice of 1800 practitioners, the move has met strong opposition from the state IMA which has called it ” unilateral”. The doctors further took a jibe at state health department for not implementing dynamic assured career progression (DACP), which assures increment on pay scale, additional promotion after the successful completion of certain number of years in service for doctors. This provision was made under the sixth pay commission. “There is no provision for DACP for about 520 doctors, including those serving in MGMMC in Jamshedpur and PMCH in Patna, though the government said it would implement it at the start of the year. We will meet health minister Ramchandra Chandravanshi and ask for his personal intervention in the matter,” Singh said. The doctors further raised issues of the Medical Protection Act, which is yet to see implementation in the state. The news pertains to Jharakhand & not Madhya Pradesh. Doctors can conduct private medical practice/consultation in any clinic during spare time. 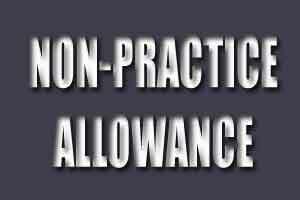 However, they may be paid an allowance specifically to compensate them for not being allowed private practice. If they are allowed to conduct private practice, it is a clear incentive to make quality of service poor in government hospitals so that people are forced to consult them privately. I think in Jharkhandn bihar, not in MP.